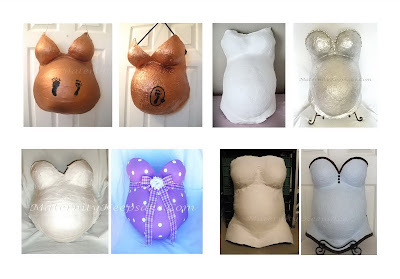 Maternity Keepsake's... Bellies, Bums and More! Friends came to visit from California and I surprised them with this beautiful hand casting gift. Photos and designs are proprietary to Maternity Keepsake; do not copy for your personal use! 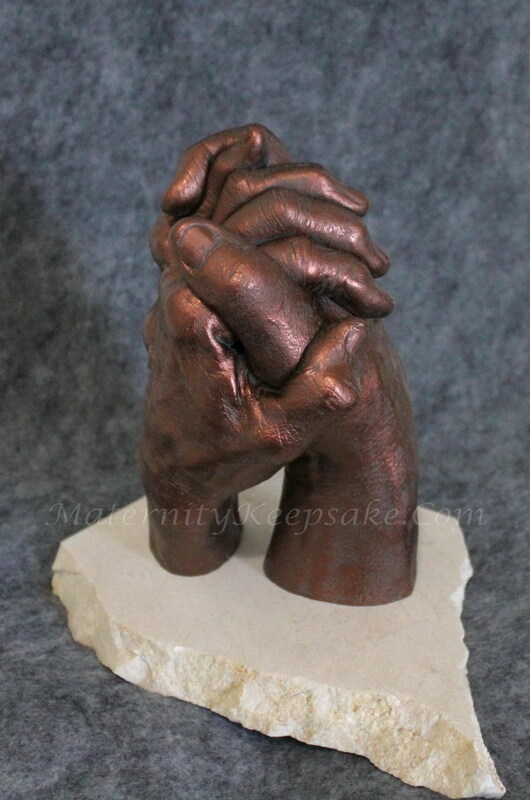 Mother's day hand castings in Phoenix are so special! This professional violinist in Phoenix couldn't be more happy with her and her daughter's hands clutched together forever! If you are looking for a professional hand casting artist in Phoenix, AZ, you've reached the right place. Book a session online at: www.maternitykeepsake.com. Maternity Keepsake has a new Policy on the Homepage of her website. Please be sure to read and understand it before booking your appointment. A $25.00 appointment hold fee is now required and will guarantee your day and time. This fee WILL go towards your deposit but is non-refundable if you cancel within 24 hours, don't re-book or are a no-show. You can book most services online at www.maternitykeepsake.com and click on "Book A Session." Once you schedule your appointment, you can pay via PayPal under Family and Friends to avoid any transaction fees or credit card (+$1.50 to $2.50 depending on amount). If you have younger children that are not a part of your casting session, please arrange for child care. 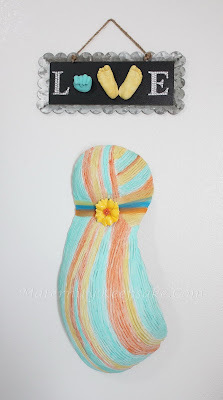 Toddler LOVE plaques on special! 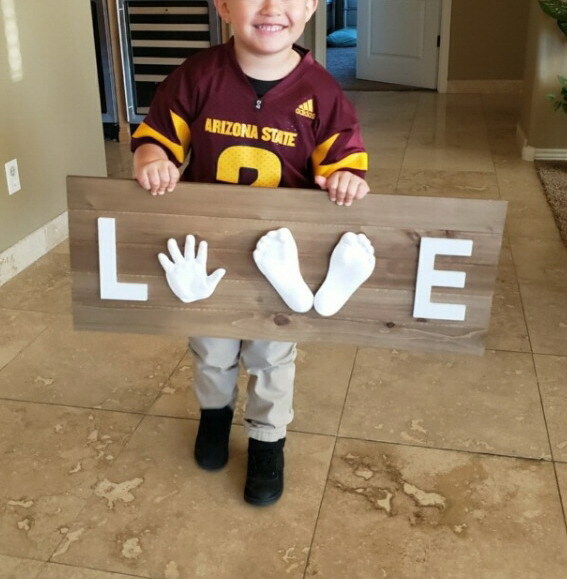 Toddler hand and foot castings in Phoenix, Arizona are on special through April for just $85.00. Castings are quick and easy and two weeks to complete with 50% down and balance due when completed. Please book online at www.maternitykeepsake.com and be sure to send your $25.00 booking fee via PayPal family and friends to hold your spot (fee goes towards your deposit). 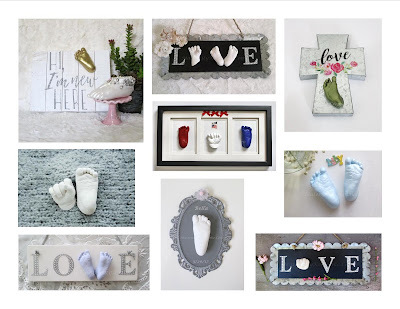 Here are just a few examples Maternity Keepsake can create of your newborn. 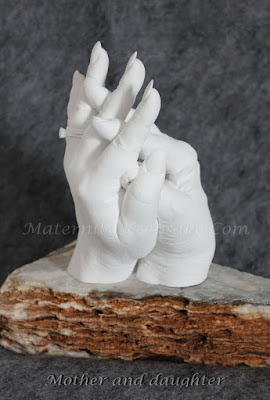 3D baby hand and feet castings in Phoenix, AZ are $40 each for stand alone (plaques are extra). Book online at: www.maternitykeepsake.com. After my client's casting session, we talked about her boho style nursery decor and she mentioned she made a boho wall hanging for her nursery out of ribbon and yarn. She mailed me two scans of yarn and I made her this adorable mini macrame for her belly cast to compliment her nursery decor...she is beyond words and absolutely loves her preserved belly cast! 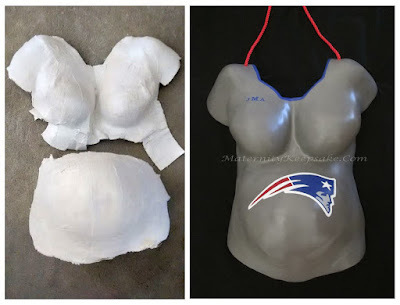 Are you looking for a professional belly caster in Phoenix, AZ to create this beautiful keepsake of your pregnancy along with baby's hand and foot casting? 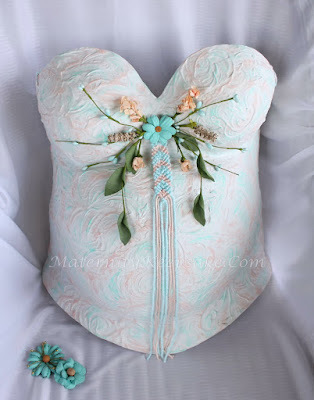 This new lace-up belly cast design now available in one or multiple colors and comes fully preserved to last for generations! To set up your belly casting appointment in Arizona, email, text or call for a quote. All in the family with this love plaque, big brother 3 and baby sister at just 2 weeks. This client wanted me to incorporate all her nursery colors and I did just that! This new partial belly cast design is only $99.00 and comes "preserved" to last for generations and up to 3 colors of your choice. Now her nursery wall decor is complete with baby's hand and feet too. Professionally performed with bra on or off and you take it home to decorate. Will last for GENERATIONS with many design options to choose from! Email or text for a quote, allow 2 to 3 weeks for completion. Mail or deliver your belly cast and I'll turn into a beautiful piece of art. Returned within 3 weeks. * displays not included in price (wood or stone). Half the total is due at appointment time. I am a life casting artist with over 20 years experience who loves to create beautiful keepsakes for expecting women, newborns and family members. Other subjects I like to cast are adult hands, torsos, bums, pet paws and women with breast cancer. Casting bellies was a gift from God and became a hobby during my working career and I'm forever grateful for this gift! Thank you for reading and I hope I can create something beautiful for you and your loved ones! 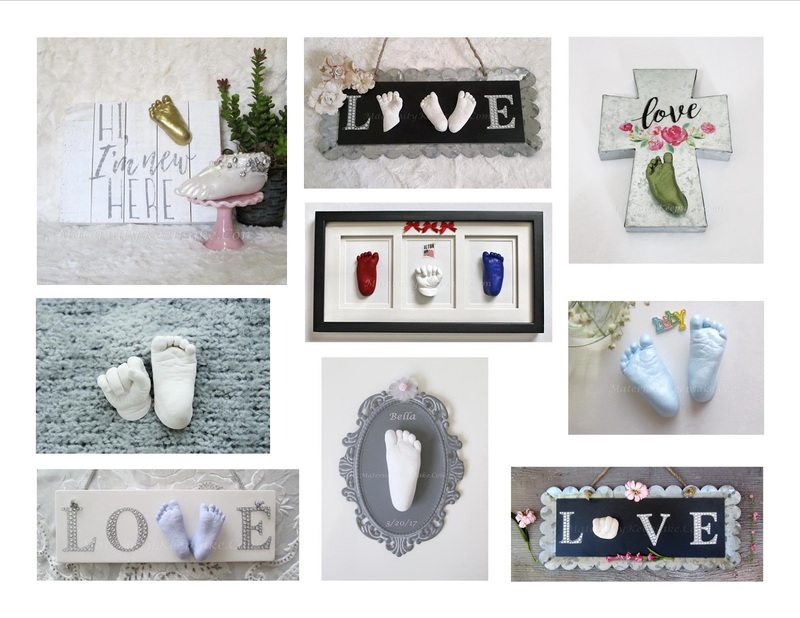 MaternityKeepsake.Com. Ethereal theme. Powered by Blogger.